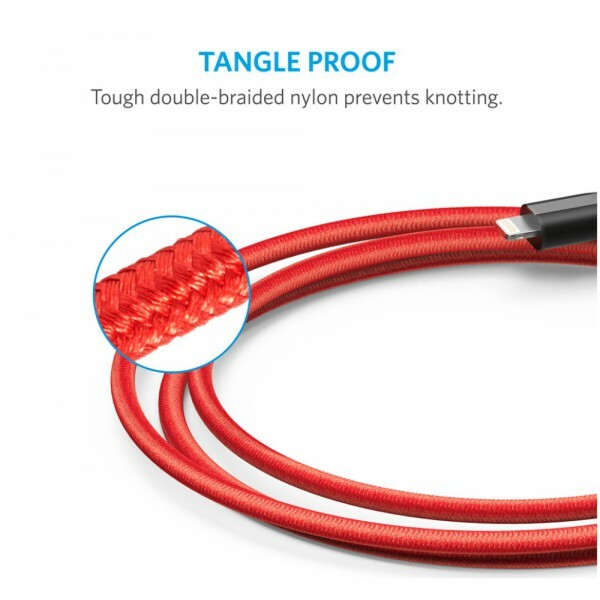 Speed and Safety MFi certification means total peace of mind because PowerLine II is completely Apple authorized. 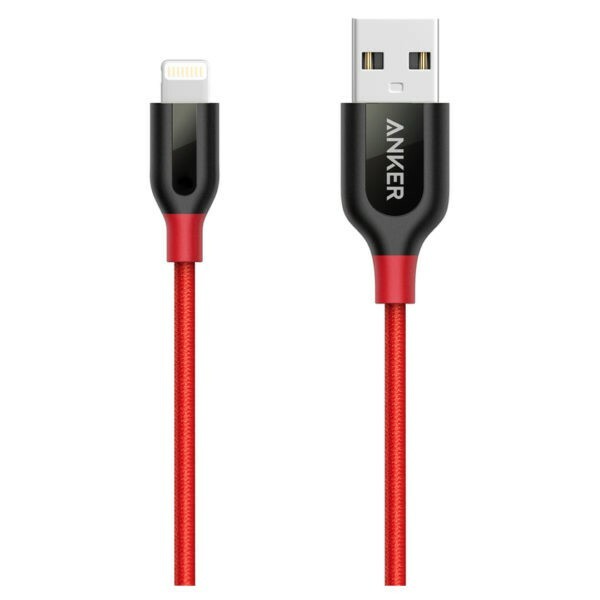 Designed to work flawlessly with iPhone, iPad, iPod or any device with a Lightning port. 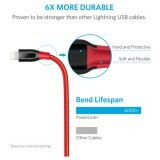 PowerLine+ may be the last cable you'll ever need. 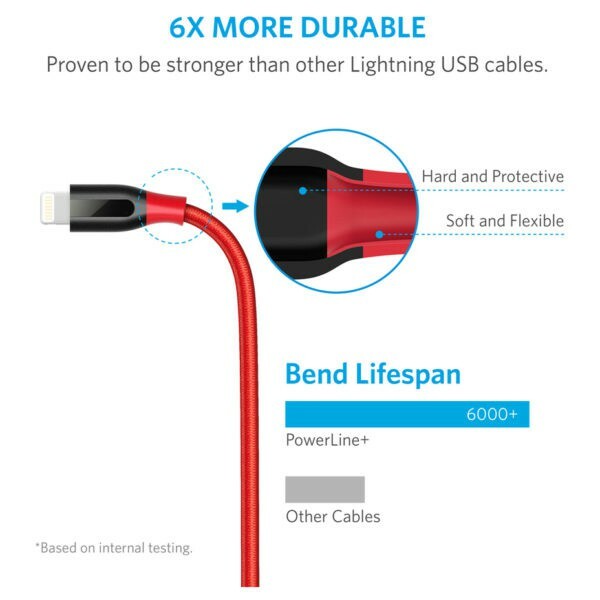 Proven to last at least 5 times as long as other cables and boasts a bend tolerance 10 times higher!It is simply one of the most durable cables, ever. 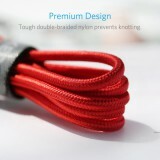 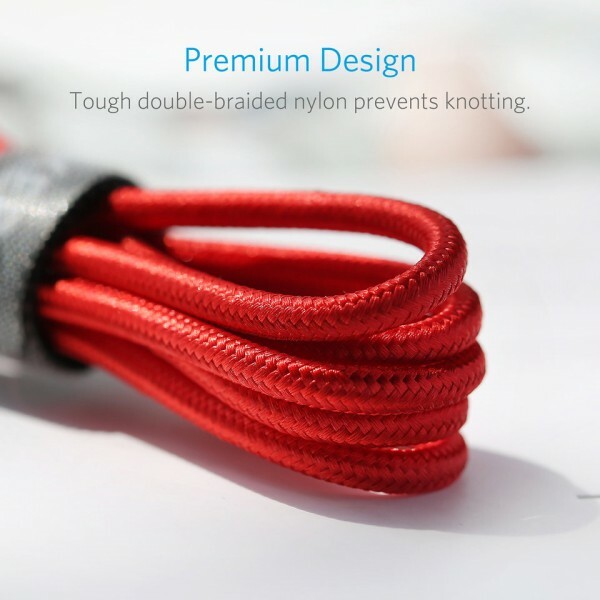 Tough double-braided nylon prevents knotting.